Nestled on over an acre in one of Ramsey's most desirable neighborhoods, this 4BR/2.5BA col is the perfect home! A book filled library, cozy front to back LR w/fpl, DR & lg Kit lead into the Great Room full of windows overlooking the parklike property & make this the perfect home for lg holiday gatherings. 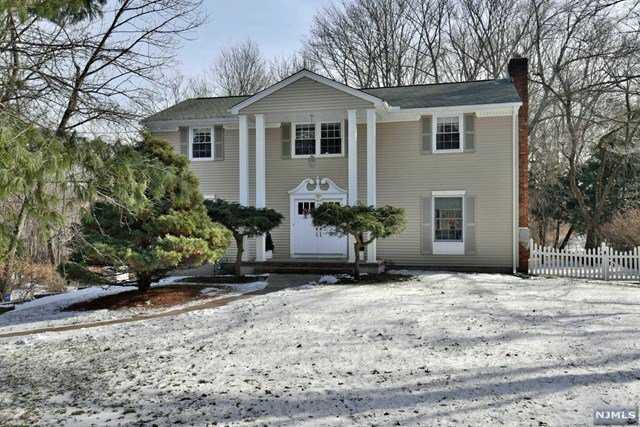 Second level features master suite, 3 add'l BR's& newly renovated main bath. Hdwd. Three car garage. Conveniently located to Ramsey downtown with its own movie theater, shops and great restaurants, shopping centers, highways and several train options. Top notch Ramsey Schools. Note newly assessed; lower taxes will be reflected in new year. Listing courtesy of Terrie O'Connor Realtors-Main St..